COMMENT: One of the first topics I wrote on was the fracturing of the “Malay” polity into various schisms based on “ethnicity”, religion and political power. I believe and still do that the consequences of this would be dire. Not only will there be sectarian violence within the Malay community, but most probably – as has been documented in various parts of the Muslim world – the nature of the conflict would be religious based. If we are lucky, it would be between two extremes; but the reality will probably be that non-Malays will either have to leave this country, or latch on to whichever side that offers the least subservient role. The least subservient role is the only option available in lieu of any firm policies put forward by the opposition since its remarkable gains in previous elections. There are, of course, many factors which handicap the opposition in its goal of political dominance – electoral malfeasances, the vote banks of Sabah and Sarawak, political infighting and dubious political alliances. 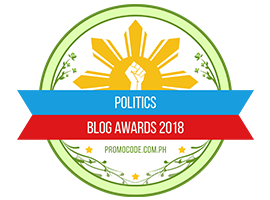 However, the underlying dissonance is the reality that by paying lip service to egalitarianism and equality, no systemic alternative has so far been offered in a serious political game changing manner. Malay “unity” as propagated by UMNO and, by all indications, in a sub rosa manner by the opposition, is based on race, religion and political hegemony. The irony is that Pakatan Harapan was supposed to be a coalition of disparate political forces that put aside their political, religious and racial differences, in an effort to assume the leadership role of this country. Look how well that turned out. The ejection of former Deputy Prime Minister Muhyiddin Yassin from the UMNO gravy train and his subsequent ersatz reformasi-like stance, is indicative not of a changing ideological perspective but rather the tremors felt when a political hegemony turns on its own. Najib refuseniks have had trouble coalescing into a credible threat – even though led by former Prime Minister Tun Dr Mahathir Mohamad – because the “cash is king” ethos which Mahathir previously nurtured has become a monster of its own, and controlled by the current Prime Minister. What fighting spirit is he talking about? Until recently, UMNO has never had to fight for anything. An ineffective opposition, electoral sleights of hand and the reality that UMNO buys its way out of every problem, has made UMNO a cartel answerable only to itself. Muhyiddin warned that Najib is turning into a dictator, yet that is the underlying politics of this country. Najib is not turning into a dictator because anyone who leads UMNO is already a dictator since post-1969 and the subsequent Mahathir years. This is an example of bull talk. Recall, the former Deputy Prime Minister was a No.2 in the UMNO kleptocracy. UMNO and its Presidents have only dictated policies without regard to any kind of democratic institutions or principles. Pandan MP Rafizi Ramli yesterday proclaimed that, “for the first time, we may just reach the critical point where a majority of our society, irrespective of their background, understand why we cannot delay reforms any more”. The choice of words is unfortunate – or telling, depending on how cynical one is. Malay alternative power structures have always struggled with the Malay vote. The reality is that decades of brainwashing with racial and religious propaganda have narcotised the Malay community into believing that UMNO is their salvation. This is especially true in the rural heartlands, where political dependency means sustaining one’s family. In other words, the “critical point” and “the majority of society” actually refers to the Malay polity and the hope that the Najib refuseniks could shift voting patterns in the Malay community to the benefit of Pakatan Harapan. And Muhyiddin (always portrayed as a soft touch) knows this very well. A couple of years back, I commented that the then DPM’s clarion call for Malaysians – specifically Malay-Muslims – to unite under the BN banner, is problematic for a variety of reasons. However, he is absolutely right when he reminded non-Malays to be cognisant of the fact that “the future of the nation depended on Malay-Muslim unity”. On the other hand, at the very least the fallout from the UMNO schisms could result in the usual political backstabbings and sabotage, which could offer gains to the opposition. The opposition political insiders I talk to are very well aware that the opposition has made the most gains when UMNO is at war with itself. “It is not just to demand that the PM step down, but to reject a political institution that has failed to fulfil the aspirations of the rakyat,” said the former Deputy Prime Minister. Is this an acknowledgement that the UMNO institution has to go? Because for the life of me – and I am not downplaying the fact that the current political scandals are perhaps the greatest in Malaysian history – the reality is that the UMNO way of doing things is what created this mess in the first place. And Muhyiddin was part of it until he got the boot.Is Muhyiddin willing to destroy UMNO to save the country? Is anyone from the ranks of the Najib refuseniks willing to do so? The only other ex-UMNO insider who managed to shift the ground under the party’s feet is the incarcerated former Opposition Leader Anwar Ibrahim, who did so with shrewd political manoeuvrings, charisma, and an unbelievable ability to make believe that his personal political struggle was a struggle for the soul of a nation. And even he did not manage to change UMNO the way how his nemesis, Mahathir did, when the latter had declared war on the UMNO old guard and won. Sceptics wonder if Muhyiddin’s ouster will have any impact on UMNO politics. That’s the wrong question. The real question is what will happen when the cash runs out and the disenfranchised Malay majority wakes up. When this happens, UMNO will not be spared. Nobody will. S. THAYAPARAN is Commander (Rtd) of the Royal Malaysian Navy. Posted in 1MDB Financial Scandal, Corruption, Governance, History, Kleptocracy, Leadership, Najib Razak, Tun Dr Mahathir Mohamad, UMNO, UMNO Politics. Attorney-General Apandi Ali recently cleared Prime Minister Najib Razak of all charges relating to the RM2.6 billion donation and the RM42 million from SRC International that he received in his private bank accounts in 2013. Instead of rejoicing at Najib’s good fortune as we get back to the daily grind, Malaysians are still speculating like stock market remisiers about his innocence. So what more do Malaysians want? Why isn’t anyone apologising to Najib on social media or congratulating him for his innocence and honesty? Why is the Opposition still hell bent on implicating him and 1Malaysia Development Berhad (1MDB) on the misappropriation of funds? Way before these developments, Najib hinted of an Anti-Najib Campaign and an international conspiracy to unseat him, and now it is horribly clear countries from the four corners of the world have reared their ugly heads to do precisely as he indicated. Hong Kong… USA… Singapore… France and Switzerland are all jointly investigating 1MDB for purported fraud and money laundering to the tune of USD4 billion although the Swiss have quietly hinted that Najib is not being investigated. Everyone knows that America is an enemy, while Switzerland should investigate their own corrupt citizens like Xavier Andre Justo, instead of meddling in other country’s affairs. Hong Kong is China’s stooge while Singapore should be thankful to Malaysia for its very existence and France would do anything to sell their military arms like submarines and nuclear power plants. Less than three days after AG Apandi cleared Najib of all possible criminal charges, these evil governments started to accuse 1MDB of the misappropriation of funds without any concrete proof. Even France has revived investigations into the Scorpene submarine commissions deal and Mongolian Altantuya Shaariibu. Malaysians should learn to call it a day. Now that Najib has been triumphantly vindicated, we should be thankful for having such an innocent and honest prime minister who will lead the country to greater heights if we just allow him ample room to do his job. Even an Arabian Prince who was mistaken for the late Arab King trusted Najib so profoundly, that he willingly donated RM2.6 billion to our Prime Minister’s personal accounts. But instead of blowing the whole sum on the 13th General Election and to combat the waning Muslim Brotherhood threat, our prudent Najib only used up a measly RM62 million of it. An instead of pocketing the rest like other ruthless and greedy politicians would have done, our prime minister promptly returned the balance or 91 per cent back to the King with an open heart. Such tall tales of chivalry are what fairy tales like the Arabian Nights are made of. Barisan Nasional leaders can vouch for a fact that Najib is a righteous man who is incapable of corruption, money laundering, swindling or any other hurtful accusations levelled at him by the Opposition. This is why so many BN leaders are willing to pawn their reputations to protect his impeccable character and sacrifice their careers to ensure no harm befalls dear Najib. This is what true sycophantic friendship is all about. Everyone including Royalty knows that Najib deserves another chance. AG Apandi should be highly commended for his virtuous actions and for not buckling under the tremendous pressure brought on by the onslaught of negative public opinion. Meanwhile, a courageous Najib can only smile at all the unthinkable accusations being levelled at him, knowing full well that in the end, the truth will set him free. Najib has always come across as a moderate world class leader compared to the likes of Robert Mugabe or General Idi Amin. His suave, dashing good looks and charming demeanour immediately impresses anyone he comes in contact with. For the past six years Najib has done so much to unite the nation with his 1Malaysia slogan, 1MDB and BR1M, and we should be thankful for his contributions. With the untamed energy of a Bugis warrior, Najib is ready to take the country to the 21st century. He single-handedly abolished the ISA, replacing it with more effective laws like Sosma, Pota and the NSC Bill. He also saved the nation’s economy by implementing the highly popular GST. With Malaysians getting more and more racist by the day, such laws are heaven-sent to divide and rule the nation, and to save Malaysians from themselves. Not only is he a democrat, he is also a pious religious leader who upholds Islam and will not hesitate to invite a respected religious party like PAS to form a unity government with Umno. Therefore, Malaysians should stop believing in the Opposition lies that one man could single-handedly bring an entire nation’s economy to its knees but heed instead the advice of our ministers on getting a second (or third) job instead to ride out the economic downturn. Be thankful that the GST has saved the nation from getting stuck in an economic rut so that we can look forward to the next BR1M handout. Lastly, let’s give Najib a big hand for being found innocent, leading Malaysia into first world nation status and restoring democracy and the rule of law to this beloved land of ours. Tour consultant, sports pilot and naturalist Iskandar Dzulkarnain has been writing for a few years now, especially satirical articles like this. He is an FMT columnist. Posted in 1MDB Scandal, Altantuya Murder, Corruption, Ethics, Governance, Justice, Kevin Morais, Kleptocracy, Money Laundering, Najadi Murder, Politics, Public Accountability, The Malays, UMNO, UMNO Politics. Posted in Education, Literature, Poetry, Uncategorized. After weathering a tumultuous 2015, the Association of Southeast Asian Nations (ASEAN) appears headed into an uncertain 2016 despite the formal establishment of the ASEAN Community, including the ASEAN Economic Community (AEC), at the beginning of the year. The ASEAN Community remains very much a statement of intention rather than a reality. Steep declines in commodity prices, falls in most regional currencies against the dollar and weak global demand, including weakening demand from China, have all combined to slow down growth in the ASEAN economies. Some countries in the region have grappled with internal problems. These include, among others, economic restructuring woes for middle-income economies such as Malaysia, high household debt in Malaysia and Thailand, Thailand’s weakening economy under military rule and the emergence of protectionist sentiments in Indonesia. The new US-ASEAN Connect Initiative announced by United States President Barack Obama at the historic summit with ASEAN leaders in Sunnylands to coordinate US economic engagement in the region is, therefore, welcome. According to Mr Obama, Washington plans to set up a network of three hubs across South-east Asia – in Singapore, Jakarta and Bangkok – to connect entrepreneurs, investors and businesses from both sides. While details are still scarce, the initiative will focus on four main areas, dubbed Business Connect, Energy Connect, Innovation Connect and Policy Connect. The first part aims to facilitate regional trade and economic integration under the AEC framework and boost US and ASEAN business ties in sectors such as information and communications technology and infrastructure. The second pillar seeks to support the connectivity, clean energy and energy security goals set out by ASEAN, while the third provides technical support for various programmes related to innovation, science and entrepreneurship. Finally, Policy Connect seeks to support ASEAN in creating policies conducive to trade and investment, digitally enabled innovation, and sustainable and equitable economic growth. The geopolitical rationale for the US’ deeper economic engagement with ASEAN can be attributed to the rise of China and the increasingly close economic links between ASEAN and China, which is currently ASEAN’s largest trading partner outside the region; Beijing also has a free trade agreement with ASEAN while the US does not. The US-ASEAN Connect Initiative is probably a calculated move to show that besides contributing to regional security, America has still much more to offer South-east Asia on the economic development front. Tellingly, the US has indicated that as part of the initiative, it will also be conducting a series of workshops to help ASEAN members such as Indonesia, the Philippines and Thailand become members of the Trans-Pacific Partnership (TPP). Currently, Brunei, Malaysia, Singapore and Vietnam are the only ASEAN members that are parties to the 12-nation TPP, which does not include China. ASEAN has little to lose and much to gain with greater economic links with the US. For one, the ongoing economic recovery in America can serve to counterbalance slowing demand from China as it grapples with its own economic transition from an export base to domestic consumption and from manufacturing to services as new drivers of growth. The US can benefit from deeper economic engagement with Asean as well. ASEAN is America’s fourth-largest trading partner. Two-way investments are also growing and the US is now the fourth-largest investor in ASEAN. Accelerating economic integration within Asean will offer a growing consumer market for American companies, driven by the expanding the middle classes of Vietnam and Indonesia. According to the ASEAN Business Outlook Survey 2015, US companies are upbeat about the region’s potential as a large market, and this is not surprising as almost 60% of Asean’s population is under 35 years of age. The choice of the three Connect centres in ASEAN – Jakarta, Singapore and Bangkok – to coordinate US resources is well suited. The ASEAN Secretariat is in Jakarta while Singapore hosts a large number of US companies. Bangkok, on the other hand, hosts a few important regional offices for the US government. It is important for US and ASEAN to ride on the momentum of the Sunnyland summit to kick-start the US-ASEAN Connect Initiative as soon as possible, starting with more detailed information on the specific plans and programmes to be implemented. Translating these into concrete actions will enhance the positive signals of the US’ continued interest in ASEAN. – Today Online, February 28, 2016. Posted in ASEAN, ASEAN Economic Community, Diplomacy, Foreign Policy, Geo-Politics, South China Sea Dsipute, TPPA, Trade and Investment. UNITED NATIONS – Ambassador Adlai Stevenson, a former US Permanent Representative to the UN (1961-1965), was a renowned intellectual of his generation, known as much for his riveting speeches as his political witticisms. A two-time Democratic presidential nominee, he once declared that the social life of a UN diplomat is characterised by three elements: alcohol, protocol and Geritol (a high potency B-vitamin dietary supplement meant for energising low-energy diplomats). The breakdown, according to another diplomat, was 97 percent alcohol, two percent protocol and one percent Geritol. But anecdotes apart — and there were plenty going around at the delegate’s lounge, the official UN watering hole — one of the most trying things was to get an on-the-record quote on a politically sensitive issue. Permanently on a leash, tightly held by their governments or their foreign ministries, most diplomats assigned to the UN were quick to make bland and predictable statements but never off-the-cuff remarks worthy of tabloid headlines. That statement was every headline writer’s dream. 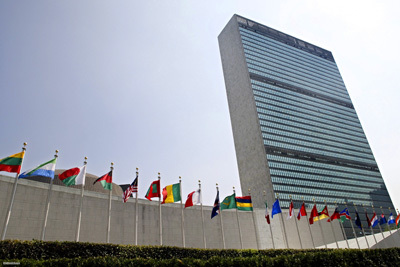 “Revolt at the UN”, screamed the New York Times. “Tyrants Take Over,” shouted the Wall Street Journal. And the Washington Times reduced the Human Rights Commission to a “Commission of Rogues”. Back in 1975, when President Gerald Ford refused to bail out a cash-strapped New York City with federal funding to avoid bankruptcy, the New York Daily News ran the story with the immortal headline: “Ford to City: Drop Dead.” Still, I don’t foresee any UN-based diplomats — least of all a Sri Lankan Ambassador — telling the UN High Commissioner for Human Rights or the Secretary-General: “Go to Hell,” on even milder language. After all, as someone once remarked, diplomacy is the art of telling someone to go to hell — in a way they look forward to the trip. Getting a juicy on-the record quote from a senior UN official was even more difficult than getting a quote from a UN diplomat. But Shashi Tharoor, a former UN Under-Secretary-General (USG) and later an Indian Parliamentarian from Kerala and State Minister, once said every UN official, from a USG to a window-washer, is entitled to express his or her own opinion — but in their area of competence. But that rule died an unnatural death. A former Chief of the UN Treaty Section, Kohona held the post of Permanent Representative (2009-2015) embodying a mix of both — and making it doubly difficult to get a headline-grabbing, on-the-record quote from him (although he was an Australian citizen when he headed the Treaty Section and later held dual citizenships — even as he wondered whether he should cheer Sri Lanka or Australia at the ICC World Cup cricket finals in Barbados in 2007. Rumour has it he cheered for Sri Lanka, the losing side, in the company of a “cricket-crazy” President). I had heard of Sri Lankan ambassadors abandoning their home countries to seek political asylum in Europe and the US — but never mental asylum. As Hollywood would have it: one flew over the cuckoo’s nest. Posted in civil society issues, Diplomacy, Foreign Affairs, Freedom, Governance, Human Rights, International Affairs. Southeast Asian nations expressed serious concern today (February 27) about growing international tension over disputed waters in the South China Sea. China claims most of the sea but Southeast Asian countries Malaysia, the Philippines, Brunei and Vietnam have rival claims. Friction has increased over China’s recent deployment of missiles and fighter jets to the disputed Paracel island chain. “Ministers remained seriously concerned over recent and ongoing developments,” the 10-members Association of Southeast Asian Countries (ASEAN) said in a statement after a regular meeting of the group’s foreign ministers in Laos. Land reclamation and escalating activity has increased tensions and could undermine peace, security and stability in the region, Asean said in the statement. The United States has criticised China’s building of artificial islands and facilities in the sea and has sailed warships close to disputed territory to assert the right to freedom of navigation. Yesterday, the United States urged China’s President Xi Jinping to prevent the militarisation of the region.Vietnam, which accused China of violating its sovereignty with the missile deployment, echoed the US call today. “We call for non-militarisation in the South China Sea,” Deputy Prime Minister and Foreign Minister Pham Binh Minh told reporters after meeting his ASEAN colleagues. “We have serious concerns about that,” he said, when asked about China’s increasing military activity in the region. The group agreed to seek a meeting between China and ASEAN’s Foreign Ministers to discuss the South China Sea and other issues, Cambodian Foreign Affairs Minister Hor Namhong said. China’s maritime claims are ASEAN’s most contentious issue, as its members struggle to balance mutual support with their growing economic relations with Beijing. China is the biggest trade partner for many ASEAN nations. Neighbours Vietnam and China compete for influence over landlocked Laos, which has no maritime claims but finds itself in the difficult position of dealing with neighbours at odds over the South China Sea. 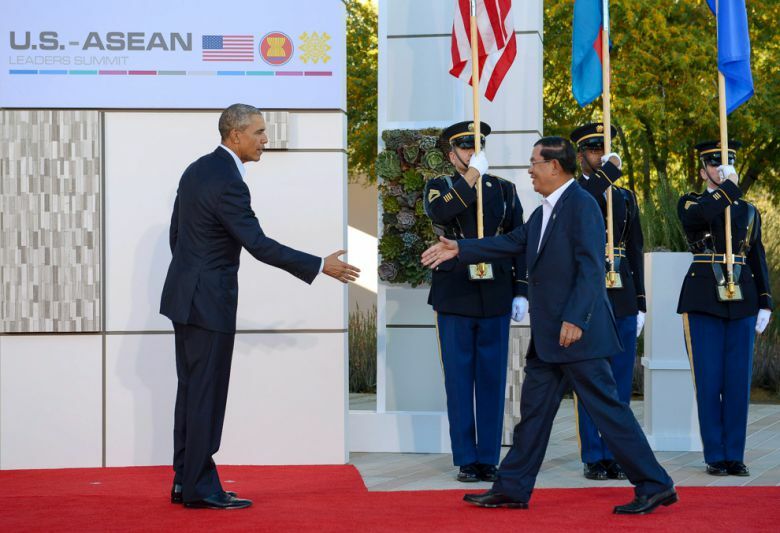 Laos is tasked with finding common ground on the issue as the ASEAN chair in 2016. “The South China Sea issue is a headache that Laos would really rather not have to deal with,” said one Western diplomat in Vientiane. Posted in ASEAN, Defence-Security, Diplomacy, Foreign Affairs, Foreign Policy, Geo-Politics, Security, US-China Relations.